When I moved to Atlanta from California in the late 90s, there were a handful of grocery items I couldn’t find. I expected that. But I was surprised that some cuts of meat seemed to be regional and impossible to come by. It’s not as if I were looking for scrapple or lutefisk. I couldn’t find a beef tri-tip roast in any grocery store or butcher shop in the whole Metro Atlanta area back then. And, believe me, I looked. 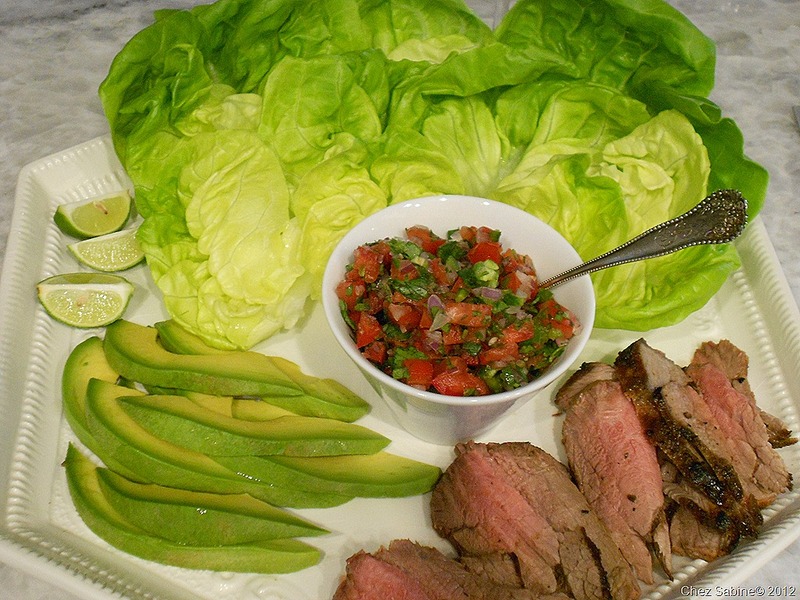 Grilled tri-tip lettuce wraps with salsa fresca. A light alternative to traditional tacos without sacrificing flavor. I always knew this roast as a Santa Maria tri-tip, named after the California Central Coast town where this cut first came to light and is still among the area’s greatest claim to fame – and glory. It’s that good. But it wasn’t until the late 1950s that the tri-tip made its debut. Bob Schutz, a local butcher, stopped grinding it as hamburger and decided to elevate the tri-tip to a steak/roast by cooking it whole. Thank you, Mr. Schutz. And, so, the South has its smoked pork, Texas claims the brisket as its holy barbecue grail, and California calls the tri-tip king of the grill. And rightfully so. Am so loving your blog and keep meaning to write and tell you. So interesting, useful and fun to read. Thrilled you’re reading, Jen. Thanks so much. Thank you so much, Bill. So happy you liked it and found it useful. Did I read a reference for lutefisk in this fine informative tidbit on tritip? I so enjoy all of your posts. Why, yes, you do. Is that a particular favorite of yours? Actually, it was a find it request from a reader. Alas, I never found it in Atlanta. Carolyn, I’m so glad you’re reading. Thank you.